Our product range includes a wide range of roller screws. We are counted among the leading organizations, engaged in offering Roller Screws. The offered roller screws are widely demanded by our customers for their excellent design and sturdy constructions. These roller screws are used as assembly parts in many automobile and machinery industries. Our experts make use of technologically advanced machines to meet the industry laid parameters and the needs of various industries. 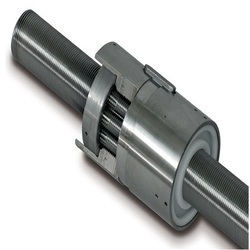 The roller screws are finely polished and shaped to ensure less friction during operation. Looking for Roller Screws ?